This week of training was a busy one as I was in Pittsfield, MA for a training course. 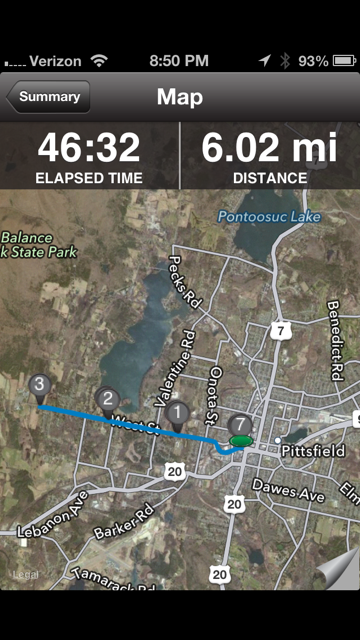 Not much free time for sure but it was nice to run in my old stomping grounds. It is funny how you can be out of an area for close to 20 years and still know it well. When you run somewhere often you get to know every inch and somehow you never forget it. This week I also started my strength training back up. It has been a while and I can feel it. I am sore!! The biggest issue I have had was an abdominal strain which was a big issue from December through February. 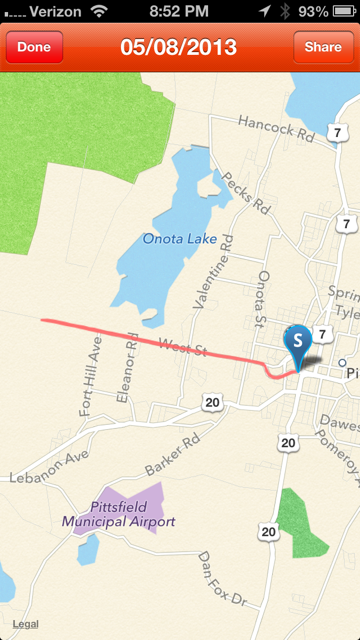 Although I can run pain free now, I have clearly lost core strength and am now just starting to slowly rebuild that. Hopefully in a few weeks I will begin to notice some improvement. 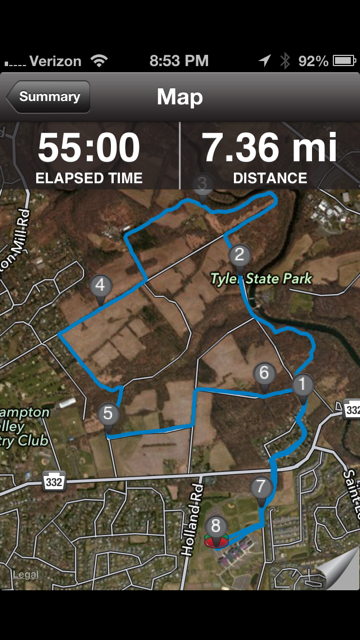 This morning I met up with Joe Warwick and we got in a bit over 7 miles in Tyler State Park. 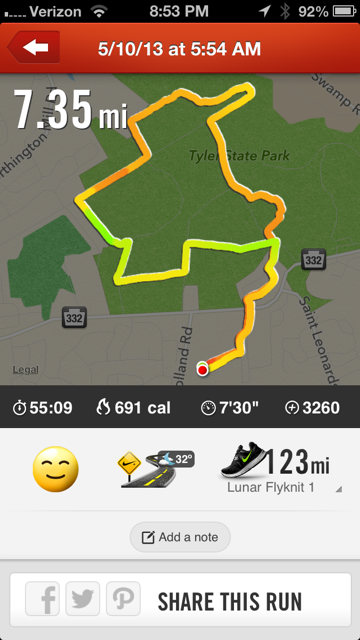 As nice as it was to to run old courses it was great to be back home and run in Tyler! Tomorrow I jump on the track which is much needed. Short blog today. I am tired and looking forward some some sleep..
← On to the next!